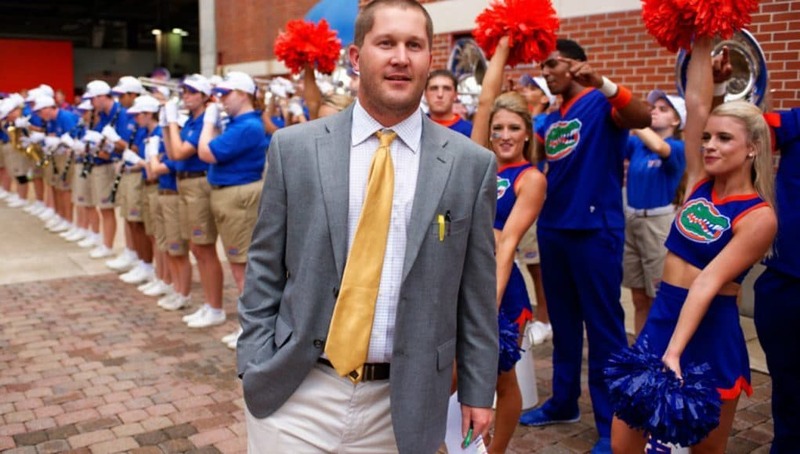 The Florida Gators recruiting board is constantly growing and one of the newest members of that board will be in town this weekend when the Florida Gators take on Vanderbilt. That prospect is tight end Kelvin Lucky (6-6, 228, Elmore, AL. 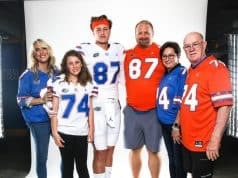 Edgewood Academy), who will be making his first trip to the Swamp to see the Gators play. It will also be his first chance to meet everyone on staff. Lucky, who is new to America as he moved here from Nigeria (two years ago), usually lets his head coach deal with his recruitment, but Lucky says he does speak to Florida pretty regularly. 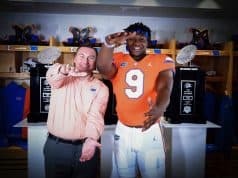 Two weeks ago Lucky said he received news that Florida wanted to offer him on the offensive side and Lucky’s coach believes he’s a good fit there. When Lucky goes down to Florida this weekend it won’t be the first time he sees the Gators play as he has watched them all season on TV. Lucky has been on a hot streak as of late as he has picked up offers from Texas, Vanderbilt, Kentucky and several other Division I teams. 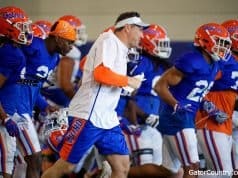 INSIDERS TAKE: Lucky is a new prospect to the Florida Gators recruiting board and he’s also new to the game football. Lucky has only been playing the game since August so he’s very raw but very athletic for someone whose just 16 years old. Isn’t this the guy I emailed Drew Hughes about earlier in the year? If so….man did we hit the JACKPOT!! His video was OFF THE HOOK!!! SUPERMAN, X-MAN, FLASH, HULK rolled into one! Fournette would be jealous!! PLEASE be the guy….I’m going to back track emails now and see if it is! PLEASE, oh please, oh please! He’s a TE not RB.